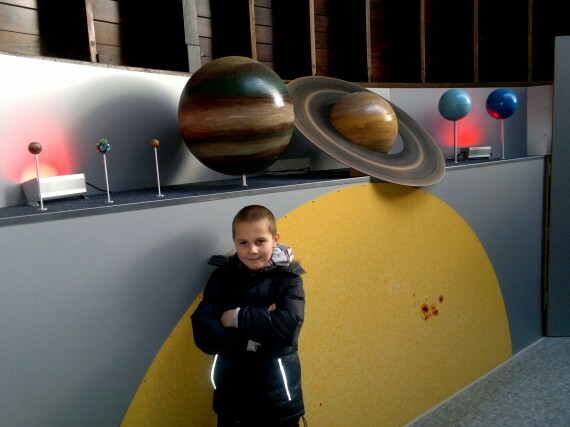 If your child is science oriented or if you simply want to introduce a bit of fun and education I recommend a family trip to Stefanik Observatory in Prague with children’s video program and friendly English speaking staff. 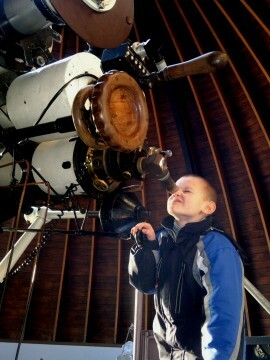 It’s quite an experience to look into a huge telescope and look out into the Universe. 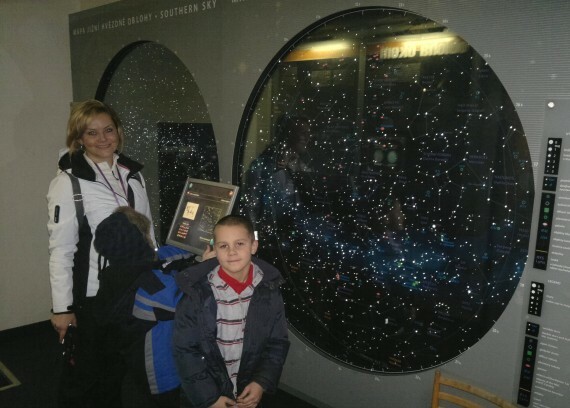 Apart from this there is a permanent display of modern astronomical equipment and information on the basics of astronomy. 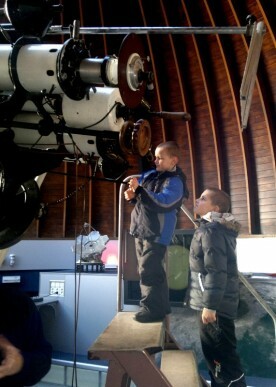 It’s also thrilling for Kids to observe the split roof open and close and see the Telescope in action. Just add a few Star Wars figures and the picture would be perfect! 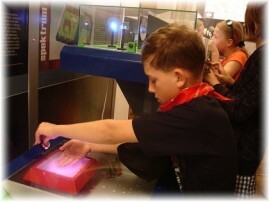 My Marcus want to be a scientist for 3 years now and anything do to with science rocks his boat. Until we explained to him where money comes from he kept asking us to visit the Hole in the Wall to get money to build him a laboratory! When out for a walk we passed the Stefanik Observatory and we immediately knew we’d found a plan for the afternoon. 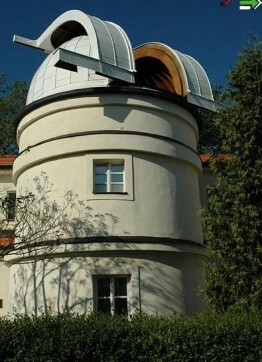 The Štefánik Observatory is located in the very heart of Prague, in Petřín’s parks at the Hunger Wall, which was built during the reign of Charles IV in the 14th century. You can get here easily by car and walk a bit. The trick is to drive to Strahov Hill (with the big stadium on top) and drive in between it and an uninviting block of flats (student dorms). Drive as close to Petrin Park as you can and leave your car there. It will take you 5 min to walk to the observatory. Or, take a cable car from Ujezd - on the edge of Prague 1 and 5 - at the bottom of famous Petrin Hill. You will need standard public transportation tickets for the cable car. 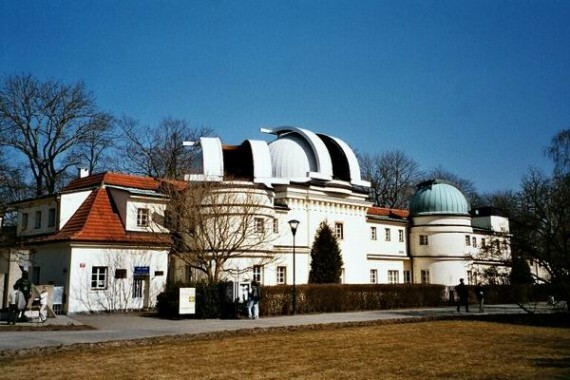 The Observatory is named after Milan R. Štefánik, born 1880 in Slovakia, who was a soldier, a general of the French army, a pilot, a diplomat and the co-founder of the Czechoslovakian state. He was also a scientist and an astronomer. Štefánik studied astronomy at Prague’s Charles University, worked in the observatory in Meudon close to Paris, participated in many expeditions to solar eclipses all around the world, built an observatory in Tahiti and was awarded several scientific prizes. He died in an air crash in 1919. 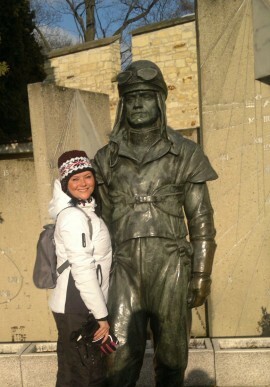 His big statue is welcoming you right at the entrance and I took the liberty to have a picture with him. Quite a character!!! 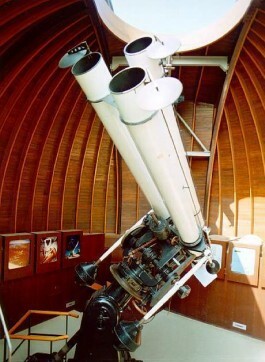 The observatory offers a modern permanent astronomical exhibition reviewing the basics of astronomy. 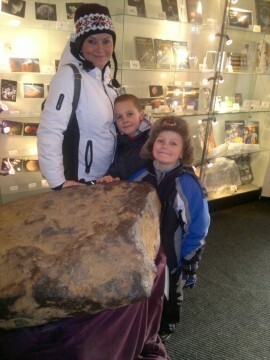 You can visit the domes with telescopes. In suitable weather it is possible to observe the sky, spots on the Sun or solar flares. If you come at night it’s also possible to look beyond the boundaries of the Solar System and observe selected stars, nebulas, star clusters or galaxies. When you make it to the The Main Dome that hosts a double Zeiss astrograph (named after the Viennese selenographer Koenig) you will be surprised by the size of the telescope. The staff here always speaks English and will explain to you what to look at, what is it what you are seeing and you can ask all kids of questions. You can spend as much as time you want there. 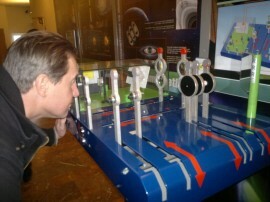 The whole exhibition is with Czech and English texts, explaining Black holes, Zodiacs, travelling of light and we played with several interactive science tools. One of my favourites was a screen with a night sky. After you chose a Zodiac sign or star constellations, pressed the button it would light it up on the Sky map. I never really knew what my Zodiac signs looks like in the night sky and I could have spent hours trying different constellations. I just wish I would remember the set up of the stars because by now I’ve forgotten them all, :-) it was really helpful to display to boys what a Orion’s Belt looks like or the Big Dipper. I suggest you also make your way down to the basement. 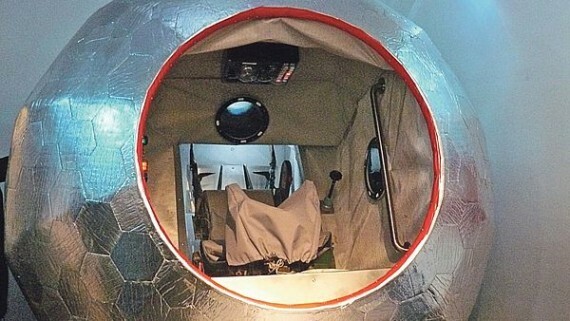 Here you will find a small room in with a model of spacecraft cabin Vostok1 which took Yuri Gagarin to space the first time. It is a model that is built to the actual size and you do not have to just admire the outside, kids can climb inside, sit back and squeeze all the buttons as they please. I loved the fact that the tour is without a guide. It is convenient especially with younger kids because some of the long theoretical interpretations a guide could give may be tiring for them. Without a guide they can run around freely and stop wherever they like and miss anything they dont like without disturbing anybody. At all times there were English speaking, friendly staff that you could ask questions of and they were happy to assist.